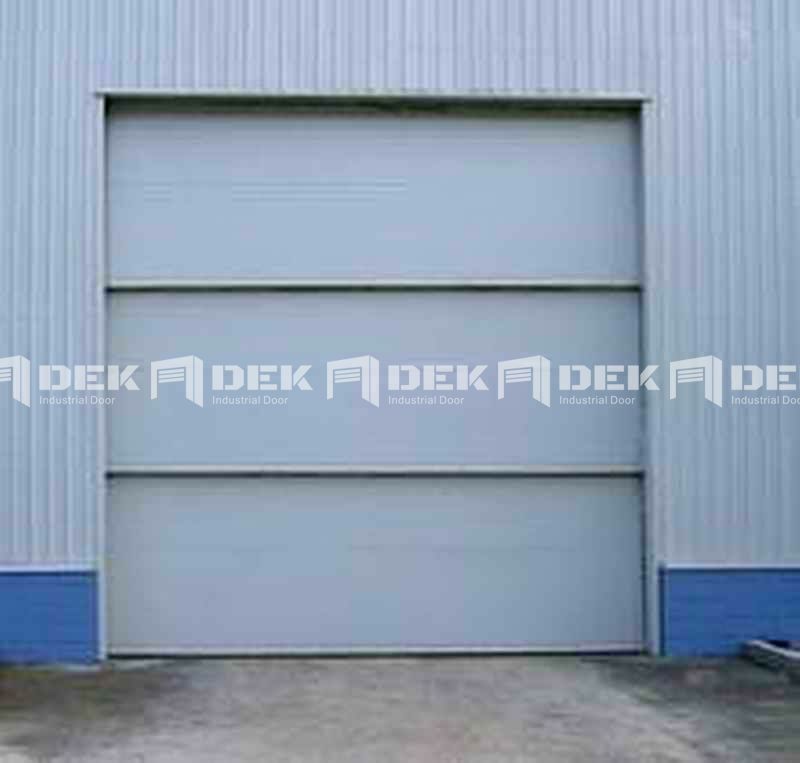 Guillotine door is composed of six parts: door body, guide track, counter weight, shelter, transmission and drive. The size of the opening decides the number of guillotines. Counter weight is used to balance the weight, which is controlled on its own track by door operator. It is characterized by the low failure rates and multiple controls, such as multi block linkage drive, electrical drive, manual drive and automation. For super-size guillotine door, the counter weight can be replaced by a dynamic balancing system using specialized winch. The operating principle is: the steel wire round the crown block and traveling block, to implement opening an closing by chain transmitting and block transmitting. Each panel moves at different rate so as to simultaneously open or close the door. 3. It’s installed the safety inserting block and the brake instrument to guard falling. 4. Door area can choose infrared safety relay out system. 3. Wind-resisting capacity: according to the local climate and customer’s request.